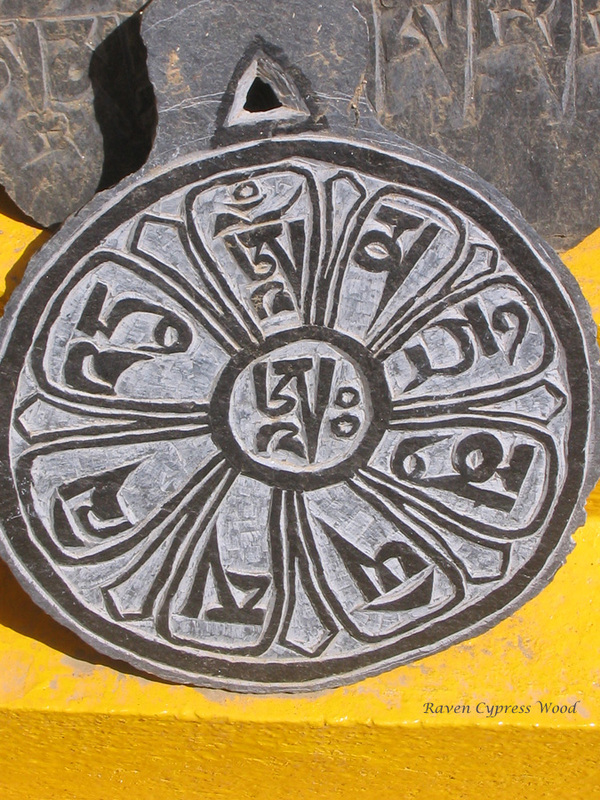 This stone found at the base of a chorten at the Yungdrung Bön Monastery of Triten Norbutse in Kathmandu, Nepal. This mantra is one of the three heart mantras of the Yungdrung Bön tradition. Its benefit is vast. OM MA TRI MU YÉ SA LÉ DU. Posted on May 5, 2013, in Prayer and Ritual, Tibetan Language, Uncategorized and tagged Asian studies, mantra, sacred places, Yungdrung Bon monastery. Bookmark the permalink. 1 Comment. It would be nice to know what the signs say. They certainly produce a great sense of energy and harmony, pictorially speaking.